The EBC team is respected for its experience, integrity, and unique ability to create meaningful Media and Marketing Plans for its clients. We believe that INTELLIGENCE and passion are crucial in creating strategic programs and effective promotional campaigns. Media Relationships: By working with EBC, you are connected to influential media professionals in the country, and internationally, who look to us for news about creative personalities, restaurants, and products. Each member of our talented team enjoys close relationships with a broad network of local, regional, national and international tastemakers. Experience: We offer genuine commitment from a team of passionate consumers who have direct experience in and passion for the industries we represent. Our work indicates a proven ability to shape and communicate the messaging which best promotes successful, creative brands and the personalities behind them. We partner with our clients: Our best relationships with clients come from a constant, creative exchange of ideas. We have the energy, inventiveness, business acumen, marketing experience, and media connections to get our clients the attention they deserve and desire. We rely on continuous interaction with our clients – a practice we believe creates stronger relationships and more successful campaigns. Small and special: Because EBC is a boutique firm, clients do not get lost in the shuffle. Our size guarantees our teams are in constant communication, and also becomes a more intimate, personal experience for all involved. This is not a “PR factory” where things are cut and pasted. Each client gets very individual treatment. Evyn grew up in Chicago, immersed in theater, opera, blues clubs, art museums, deep dish pizza, Michael Jordan, Charlie Trotter and the Cubs. 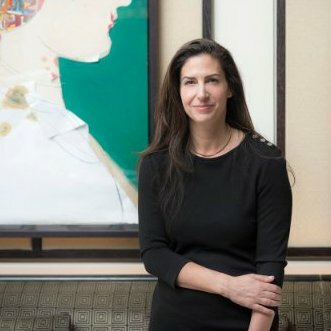 After she graduated Smith College, she got her Masters degree at The London School of Economics, and then remained in London for the next decade, starting her career within the media, at CNN, and (as importantly) witnessing the culinary renaissance of London in the 1990s, and spending too much time at music festivals. Evyn moved to New York City for a job in marketing for Harper’s Bazaar, then moved to W magazine and later GQ. She became the Marketing and Communications Director for Shiseido Cosmetics, while spending most nights at a great new restaurant, talking about food. She decided to start her own PR and Marketing firm to explore her personal love of design, food, travel, beauty, wellness and all things epicurean though her client list. Evyn loves to work with creatives, to strategize and develop the ideas that will really change the way people think about them and their brand, to inspire passion, and to build lasting, successful businesses.